Get the Ultimate Dance Experience with MDC! Click Here for 2018-19 Schedule! Click Here for Dress Code! 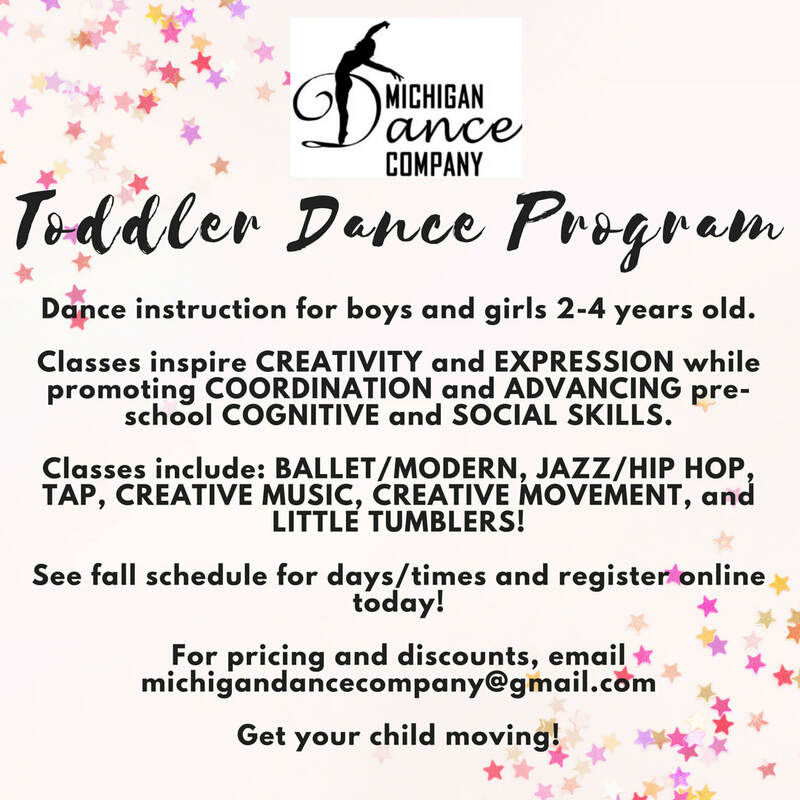 At Michigan Dance Company we not only pride ourselves in bringing the absolute best quality of dance to the Lapeer area, but also bringing it to you at an affordable price! MDC offers many discounts, fundraisers, payment plans, and family packages. Our classes vary in length depending on the type of class. With the exception of our youngest dancers, students will be placed in classes according to their current abilities for more individualized instruction. They may be asked to move to a different class at some point in the season; if they need more help, or if they excel faster than the rest of their class. We do this to ensure that our students are receiving the best possible dance education. A production style showcase will take place towards the end of June for those who wish to participate!